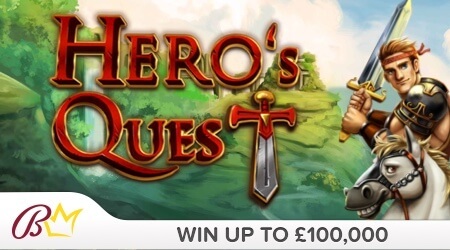 Great adventure and a top prize of €100,000 are waiting for you in Heros Quest! For just €1, you can join our hero on his journey to fortune. Simply match any three symbols to win!